Google is a fancy pants company and their bathrooms can be fancy pants as well. Here is a picture of one of the bathroom walls in the Google Germany office. The funny part, this was just posted on Instagram yesterday morning, that was before the Google+ news hit. 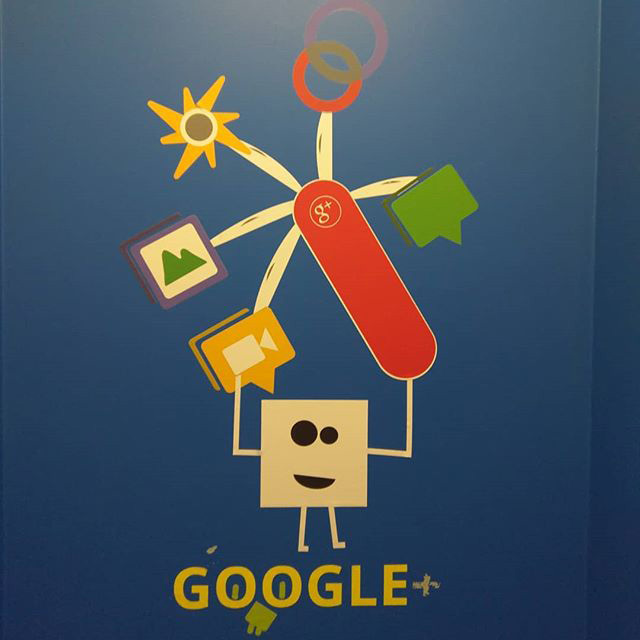 Yes, that looks like Google+ art. Got to flush that down now.